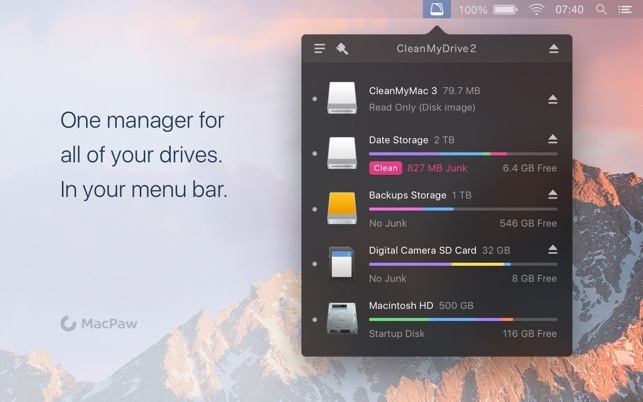 CleanMyDrive 2 is a lightweight disk manager for external and internal drives. It provides quick access to any drive with detailed information on space usage, and cleans hidden junk from external disks. It’s lightning fast and easy to use, with a convenient interface that opens right from the OS X menu bar. 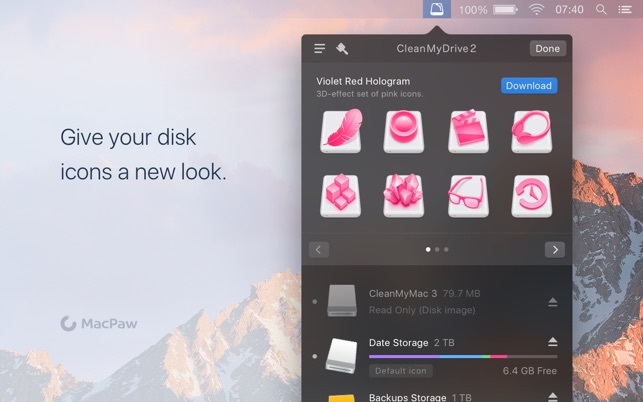 CleanMyDrive 2 is the new, improved version of CleanMyDrive, with a beautiful makeover and a whole set of new features. Prevent issues with external drives after using them on other operating systems. Keep your external drives safe, even when you close your MacBook and unplug them without ejecting in advance. Easily manage storage by knowing the types of files on your drives and how much space they take up. 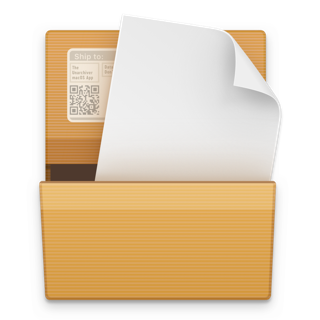 Quickly copy files to any drive by dragging them right into the app. 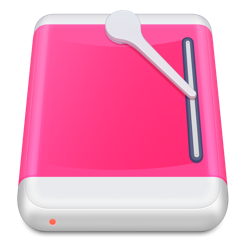 Save time by ejecting all drives with one click or using a global shortcut. Choose a hand-crafted icon for each drive to make it look amazing. 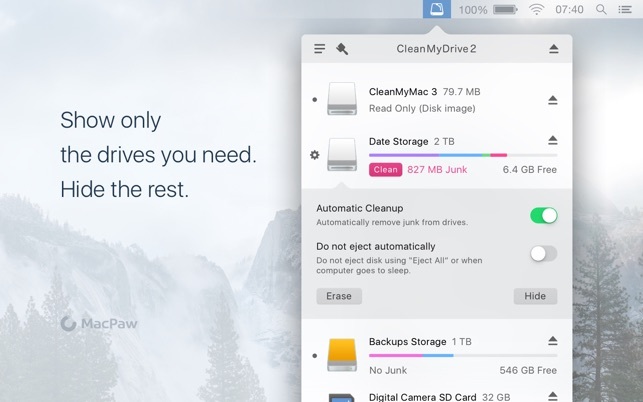 What kind of junk does CleanMyDrive 2 get rid of? 4. Trash, such as files in trash bins that haven’t been emptied. Why should these files be removed? Service files created by OS X and Windows could corrupt your external drive’s compatibility with other devices. For instance, your camera slows down if the SD card has hidden system files. And, they spoil your experience by cluttering the main folder of your disks. You see resource forks when you’ve stored files on your USB stick and want to use them on other devices, such as your TV or car audio system. These devices can’t actually read them, but display them in the folder all the same. You have to scroll through them before you get to the files you actually need. 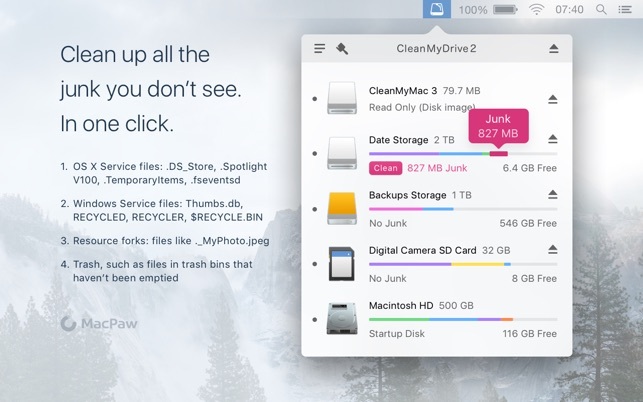 Finally, trash from the bins simply takes space on your drives. And who doesn’t need a little extra disk space? 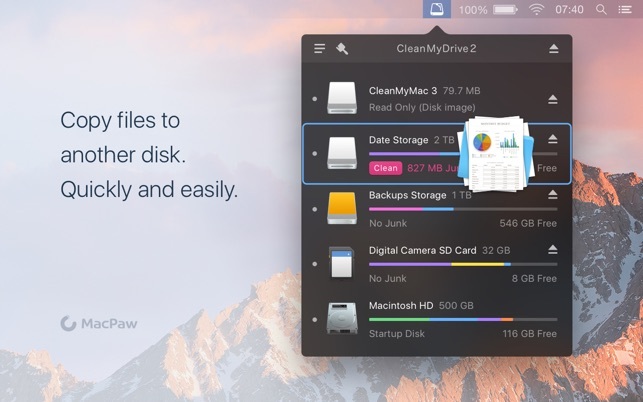 CleanMyDrive 2 is ready for macOS Mojave. Now it runs smoother than ever so you can enjoy all the prime features, including light and dark themes. - Enhanced compatibility with Mojave. - All known bugs and crashes fixed. I really want to give this a 5 star review. When I first downloaded it, it was great. It gave information about my connected drives, cleaned them, and ejected them. I enjoyed it on my new MacBook Pro. However, now, it stopped showing any information and no longer gives me the option to clean the drives. I reached out to support weeks ago, and the response I received was "We are busy with our new app, please bare with us." I was never answered, nor was there ever a fix sent out. I have tried uninstalling, reinstalling, restarting, everything I can think of, and still, no information nor option to clean. My app does not look like what's being advertised, it shows the hard drives and aline graphic for how full they are, but no information like "1.8 GB Free" or "No Junk" or how much storage total the drives have. I would liove to give this 5 stars, but, it stopped working and costumer service has apparently ignored my emails and screenshots of how my app is not working. I may have to find another app for my needs unless the developer can address this issue. Apple should buy these guys! Finally an eject button that doesn't ask “”"do you really wish to eject what you are attempting to eject? Maybe your hand just shakes? you aren’t trying to do something are you? I like kites but what do you do if your kite winds around a power line?””” Nope, with this gem you click eject and drive(s) eject :D. I like my external drives just fine, but they aren’t people so we dont have to dialog every time we part ways! Seamless integration of single click eject, single click eject all, and a nice graphical view of free space on each attached and internal volume! Bravo!!! I got this app last year and it’s taken me this long to write a review because it fits so well into my workflow. It has been a seamless integration into my daily routine. I’m plugging my camera, two external drives, and the occasional flash drive into my computer, so this helps me keep track of them and get them ejected quickly. I’m a student with a huge docking situation for my laptop (monitor, graphics tablet, the drives, USB mouse, etc. ), so when I need to leave in a hurry, this is really helpful for getting my stuff ejected so I can seperate my laptop from everything. I’d definitely recommend it.